French Wine for the Win! *Disclaimer: I received this wine as a sample from Roberts Fine Wines. I really ought to drink more wines from outside California. California wines are really my first love, so I truly drink more of them than anything else. I am trying to branch out a bit. I just ordered a half case of wines from DomaineLA, only one of which is from CA. Though they are mostly bubbles….! Anywho, the folks from Roberts Fine Wines, who specialize only in French wines, sent me a two pack of samples to showcase some of what they carry. 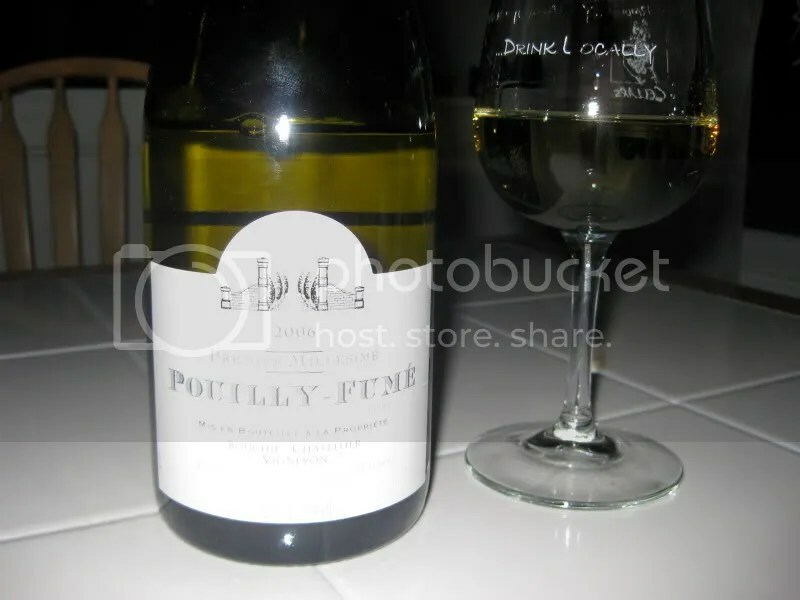 I wrote about the first bottle a few weeks ago, and now I bring you the 2006 Bouchie-Chatellier Premier Millésimé Pouilly Fumé. It had a real cork closure, clocked in at 12.5% alcohol by volume, and retails for $32. On the nose I found herbs, lemon, gooseberry (which, I actually ate real gooseberries in Portugal! ), citrus, almost a hint of fresh mint, and a whiff of sourdough bread. In the mouth I found the wine to have lots of herbaceous qualities. 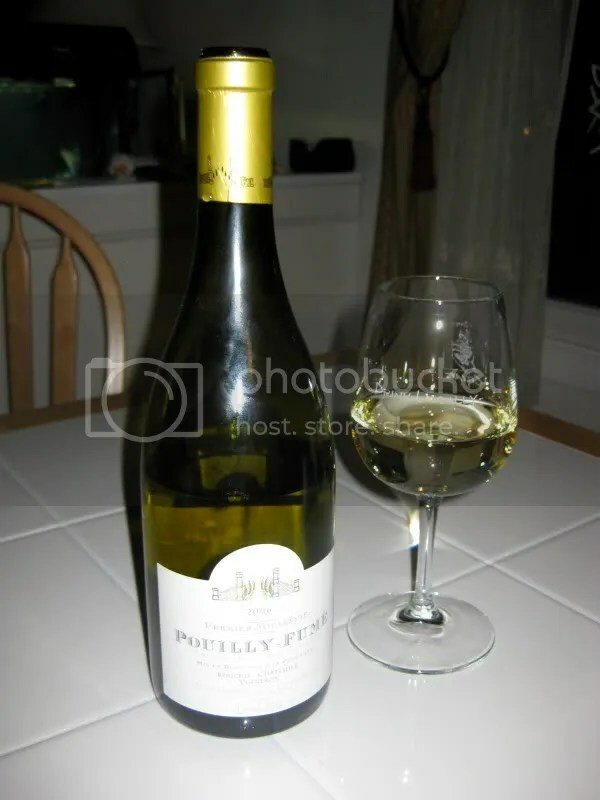 I got herbs, dill, citrus, gooseberry, lemon, a steely metal note, and salinity on the finish/edges of the wine. I thought this was a really interesting and complex wine and we both really enjoyed it. Sounds nice. I like getting all those herbal notes. For some reason I rarely drink French whites, though I had a terrific one recently: Côté Est 2007 from Maison Lafage, a VdP Côte Catalanes. Funny that you were drinking French wine from a Drink Locally glass! Ha! Yes….well, my wine glasses mostly come from local wineries….